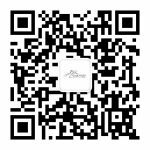 If you are traveling in the area and have questions, comments or recommendation for other travelers about staying in Kangding or this region, we would love for you to be part of the community of past, present, and future guests! Feel free to look through the forums and read about the area, and options for your visit. If you have questions that are not answered in one of the forums, feel free to register for a traveler account on our site to post your question(s) and someone will answer it as quickly as we are able. We promise we won’t spam you! The forums are listed on the right of this page, just above the most recently active topics. You can also register for an account on the right by clicking on “Register” underneath the login area. Once you are logged in, you can click on your name/picture to the right of this page, or at the bottom of any page to view and edit your website profile and/or interact with others on the site. Just click the “Profile” tab on your profile page for editing options. You may also use this forum to connect with other travelers to the area, so look around the forums and members area and enjoy.